What I’m excited about for 2018 are the innovative trends that are rising to the surface to meet the staffing challenges that hospitals face. As our aging population continues to accelerate, so does the need for more healthcare jobs, services, resources, and staff. In addition, access to affordable marketplace insurance programs created by Obamacare has created millions of newly insured patients seeking medical treatments. This growing volume of patients is contributing directly to the growing demand for experienced and qualified physicians, nurses, and allied health professionals, leading to the need for companies like Relode to create better and more innovative ways to find and recruit top talent. More healthcare jobs will be found through referral programs. According to Business Insider, referred employees not only perform better at work, are happier and more motivated, and have better knowledge of resources, they’re also 20% less likely to quit their jobs. With healthcare jobs seeing higher job turnover than ever before (43% of nurses report being in their position for less than two years), it’s critical that as recruiting professionals we lean on referrals to find better employees to fill our healthcare jobs. Social media will become the go to for finding candidates. Social media is the fastest growing source of quality hires, growing 73% in the last four years. Using tools like Facebook groups, companies and facilities can drastically reduce their recruiting costs. This is probably the model I’m most excited about to have an impact 2018 healthcare staffing trends. The crowdsourced model taps into communities of healthcare professionals, giving them opportunities to apply, schedule, recruit, and refer their peers for permanent, contract, and locum opportunities that employers need help filling and these professionals are able to earn substantial rewards and compensation. Technology will play a larger role in recruiting. Many healthcare professionals value a fast, convenient job search process, and want to cut out the middleman when finding a new position. I anticipate more hospitals and healthcare staffing companies moving to a mobile and automated experience to provide these busy professionals (especially those working in the contract and travel space) with a more seamless hiring experience. The on-demand economy will start to reach healthcare jobs, so and finding and booking clinical assignments independently will become the new norm. Agencies will provide lower costs and more value. These innovations will require many staffing companies to rethink their existing models to compete in this new space. With on-demand models, and crowdsourced recruitment providing an alternative to traditional agencies, I’m excited to watch the healthcare industry innovate and advance forward. With demand surging, reimbursements being squeezed, the healthcare industry is demanding change. Entrepreneurs and investors are pouring time and money into creating a new standard of value, service, and innovation into this $20 billion problem. As we look ahead to the new year, we’ve adopted the motto “Caring Counts” for 2018. This means that not only are we committed to helping facilities offer better patient care by finding top candidates, we also take the time to care for each one of our candidates, agents, and clients. We are so excited about the new year and being part of the emerging solutions that are rising to meet the needs of the healthcare industry. 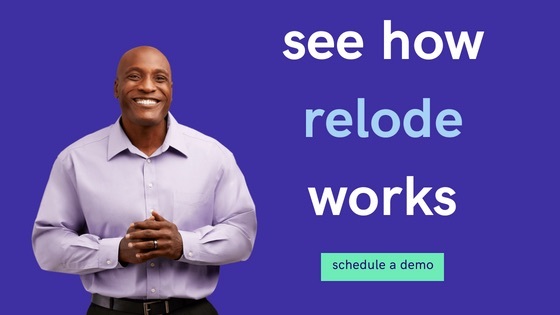 Here at Relode we are on a mission to create the new standard of service, value, and innovation for all involved!